Size: 7371 m2, 205 cluster flat beds & 1500 m2 incubator work space. 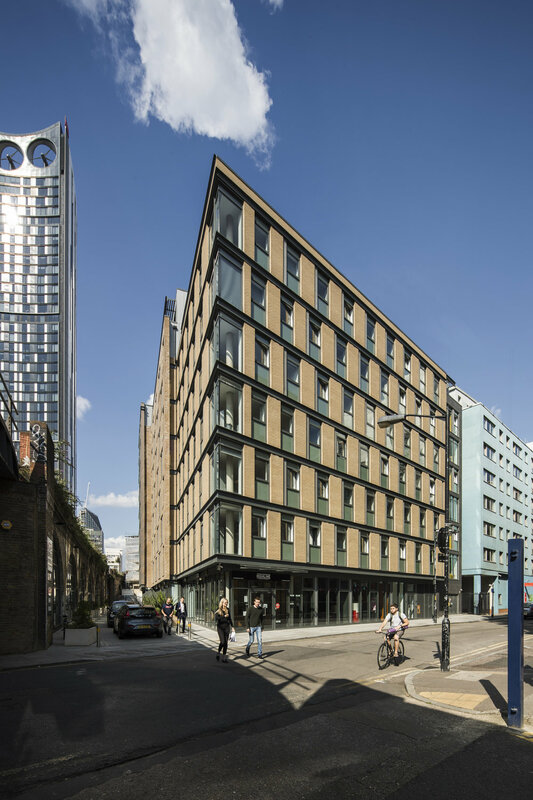 Hampton Street in central London provides accommodation for 205 University of the Arts students and includes 1,500sqm of work space operated by the university as an enterprise hub for graduates. 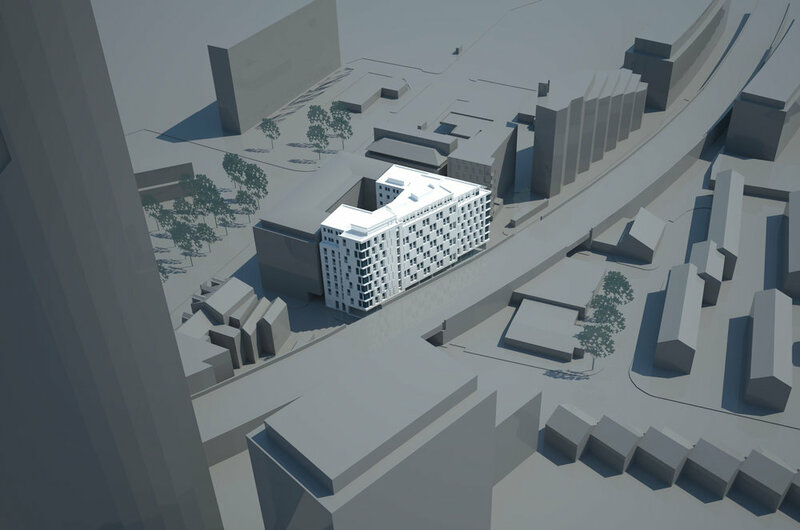 Current students were involved in developing the brief for the new hub via course work and an exhibition of their visions for the scheme. A new public walkway, animated on both sides by creative workshops, leads into the heart of Elephant & Castle and contributes to the wider regeneration of the area. 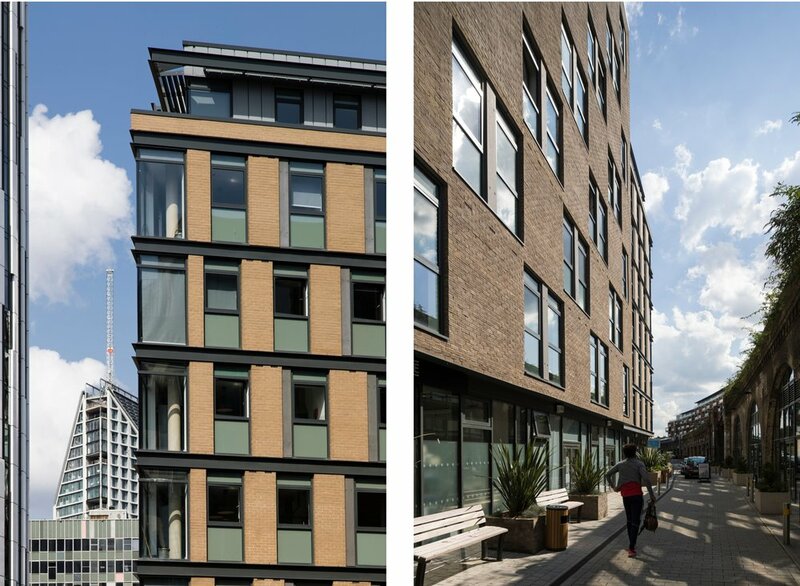 The BREEAM excellent-rated scheme is articulated in three rising sections, composed of brick, terracotta and GRC. Generous internal living spaces are arranged to enjoy panoramic corner windows.